Lately in the food world, one can read many stories about alternatives to protein from animal farming. Animal farming also gets blamed for its contribution to greenhouse gas emissions. With so much finger pointing, one can wonder whether animal farming has a future. Proponents of alternatives do all they can to convince everyone that the writing is already on the wall. Personally, I believe that things are far from being that simple. To predict what scenarios are likely for the future, it is necessary to look at the issue from its many dimensions, both on the production side as on the consumption side. I prefer to look at it first from the consumption side because consumer markets shape production systems more than production systems shape consumer markets. From the consumer end, there is already much to say. First, as the population is increasing and more people are able to afford protein, the demand for protein is increasing and will continue to do so in the coming decades. I wrote already many articles about this during the nine years of this blog and the topic is also part of my books. The fact that more and more people can afford food is a positive development. The problem is that more and more of them now actually consume more than they should. Overconsumption boosts the need for more production beyond what nutritional needs are. Overconsumption comes down to excess, waste and pushes our use of resources too far. The goal must be to help people to eat balanced meals and not to overeat. If the purpose of the suppliers of alternative protein is to push for consumption of their products and not address the issue of overconsumption, they will be just as guilty as the current protein suppliers. The future challenge is not just to replace one overconsumption with another. It is to stop overconsumption. Unfortunately, as long as our economic model is about volume growth, one should not have too many illusions. Future food prosperity is really about having always enough, not about always more. To achieve this goal, we must shift from sheer volume growth thinking to high quality (including production of course but also social and environmental) with faire distribution of the created wealth between all links of the value chains, and in particular a fair price for farmers through proper planning between supply and demand. The purpose is to supply affordable food instead of just cheap food with all the consequences that we all can see of the race towards always cheaper. Unfortunately, the volume-driven model is heavily subsidized in the wrong places and that will also have to stop if we want change. Consumers also need to realize the true value of food instead of taking it for granted because future food is anything but for granted. Regardless of the type of protein, one thing is sure: it is precious and rare. This is much more so than for carbohydrates. Protein should be treated with respect. Here are two examples why I make this point. I remember in the 1990s the CEO of Tyson Foods explaining in a conference that the poultry industry is a producer of lean protein and he lamented that, in the US at least, the favorite use was to deep fry it in cheap oil, and thus completely change the nutritional quality of chicken meat. The second example was during a presentation by the CEO of a German fish fast food restaurant chain called Nordsee, who was mentioning that breaded fish was very popular, but not so much because fish is healthy but because fish sticks were used to be a carrier of ketchup from the plate to the mouth. If the true purpose of meat for some consumers is to be a carrier of oil or ketchup, then this is a problem. Never should a product that required the sacrifice of an animal be used to soak into cheap and unhealthy product when over consumed. Speaking of sacrifice, it is good to remember that the word “sacrifice” comes from the word “sacred”. It is true that often our dealings with animal protein looks more like sacrilegious. This is a useful detail to think about when considering consumption of meat. The thing is that animal protein should never really be a commodity. It should remain special. But that is not the way or economic model has decided. From the production side, agriculture has followed a similar pattern as most other industries. It is about lowering costs (nothing wrong with that) and standardization (maybe a topic more susceptible to debate). Regardless of what people may think of intensive animal husbandry, this system is not here per accident. It is the reflection of how we look at economy and ourselves. Have no illusion about alternatives to animal protein; they follow exactly the same economic philosophy. I always say that the dominant production system is the one that matches the desires of the larger number of consumers. The saying “we are what we eat” is very true. If you look at it that way, you can see that our economy is just as much about intensive human husbandry as it is with farm animals. Economy is organized around three components: resources, labor and capital. Depending on the prioritization and distribution of these three components, we build different systems. A simple example can illustrate what I mean is mechanization: workers have been replaced by machines backed with capital investment in machines. The tricky thing about heavy injection of capital is that the system becomes capital-dependent. The capital must deliver a return on the investment and very often the only way is inject even more capital, just to keep the head above water. It is good for the bankers, but as many farmers and food producers will tell you, less so for them. So, will animal farming eventually disappear? Of course, it is difficult to answer this with certainty. My opinion is that it is not going to happen any time soon, if it ever happens. What will change are the production systems. After all, the current intensive production systems have not been around since the dawn of times. They are actually fairly recent. They have changed and are continuously adapting. Production systems that are not environmentally sensible will disappear, simply because they will not be able to be profitable and competitive. The reason for this is simple: sooner or later they will not be able to ignore the negative externalities anymore from their production costs. Environmentally sensible systems will take over. Note that I do not use the term environmentally friendly but I use environmentally sensible instead. I believe it is a much better reflection of reality. Will this transition be smooth? It might be, but it is much more likely that it will not be. Another question to reflect about is whether animal farming is unnecessary? My answer to this is: no! First, like it or not humans are omnivores. Our dentition can testify about that. That is the result of dozens of thousands of years and it is ingrained in our system. It is nature. We are mammals, even though there’s no shortage of groups who try to even deny our biological reality and try to reduce people –and animals- to legal entities. Between Laws of Nature and man-made laws, we will see which ones will prevail. Our first food –milk- is animal in nature. There always will be people who want to eat animal protein. Every time that economic prosperity has increased, meat consumption has increased. It does not happen per accident. When money is tight, meat is often the first thing to decrease. To get back to the question, I believe that animal farming is alright, as long as it is respectful of the environment, of the animals, and also of the farmers. I believe that animal protein is a privilege what we must cherish, not a right that we should take for granted. Animal protein is not the sole source of protein and there are many delicious dishes to make with vegetal protein. Look at Indian cuisine! If the purpose of animal farming is to stuff oneself, then yes I am with those who have an issue that approach of farming and consumption. Of course, most of the opposition to animal farming takes place in Western countries. It is kind of a First World problem. If certain animal farming systems are environmental time bombs, other systems are actually beneficiary. In many developing countries, having a few goats or cattle is actually essential for the economy and for the survival of farmers. Pastoral systems contribute to prosperity and social stability. Another important point is the biology of ruminants. Just as much as I was mentioning the biology of humans as the results of dozens of thousands years of evolution, the same is true for animals. Ruminants are amazing processors of cellulose. Humans can thrive on grass, because we are not equipped biologically to extract nutrients from it. Ruminants are experts at that. Since there is about twice as many hectares of grasslands as there is of arable land, grasslands represent a huge food potential and ruminants are superb transformers of cellulose in high-value foods for humans in the form of milk and meat. The key is that must be done sensibly and by taking future consequences into account. Many societies around the world know the value of farm animals. If ruminants are excellent transformers of cellulose, it is also important to mention that they have never evolved to be grain eaters, at least in large quantities. Sooner or later, this will become a much more vivid issue than it is now. Suppliers of alternative protein bring a number of arguments why their products have the potential to replace “traditional” animal meat. The environment plays a central role, in particular the issue of greenhouse gasses. They also address the animal welfare as a driver for their products. The issue of slaughterhouse by-products is also a valid argument. Theoretically, texture proteins, lab meat, insects and vegetarian diets do address these concerns, indeed. So can alternative protein push animal farming out of business? The answer is complex and I will try to answer it as concisely as possible. The animal protein market is huge and one cannot expect to replace it overnight. Since the demand for protein is going to increase further, alternative protein would probably happy to take only a chunk of the growth. They have to create their spot in an existing and very competitive market. Textured proteins have been around for decades and they have never represented a threat to traditional meat. That does not mean that it could not change of course. Lab meat is all new and there is at this stage no solid indication that they can even compete with traditional meat on world markets any time soon. They are still a long way of representing a force in the animal protein business. Time will tell. An important detail for both textured protein and lab meat is the number of factories, incubators and texturing lines that they need to build to replace animal farms. That will represent huge investments for which they will have to earn the money to carry out. Competing with traditional animal proteins means engage fully in a commodity markets where margins are often thin. They will compete with independent farmers who are often contracted by corporations and often hardly make minimum wage. These suppliers will have to fight against the huge animal protein corporations and deal with retailers and food service companies with strong bargaining power. Will they really want to take the road to commodity markets? I doubt it, or it will be a very long journey. When I hear or see their pricing objectives, nothing tells me that they are really willing to target the mass animal protein market. It looks more to me that they will try to work from a targeted marketing strategy and will work their way into niches for quite some time. Another hurdle is the consumer perception for their products. Vegetarian products already have exposure and are well-perceived. Lab meat may be a more difficult challenge. The mere fact that lab meat producers want to call it clean meat instead and are already facing opposition from meat producers who claim that lab meat is not real meat shows that they have not solved the perception challenge, yet. Even the term meat is not a given. Where does that leave us for the future and the issue of animal farming greenhouse gas emissions? Considering the time that I believe it will take for alternatives, I do not see that they will play as big a role as they think and/or claim. I believe that reducing greenhouse gasses emissions will have to be enforced. Regulations on production systems will have to address this. This has to happen today already. There is no time to wait until these emerging industries will have developed critical mass. Also production volumes will have to be addressed. It is likely that if we want to be serious about curbing the environmental footprint of animal husbandry, they will not be many alternatives to capping production volumes. That will be a tough one as nobody will want to be at a disadvantage with their competitors. There will be the exact same discussions as there already are with climate change and those who refuse to participate. Neither governments nor corporations will take effective measures. The answer lies with consumers. They are the ones who have the power to reduce animal protein production and changing production systems. From an environment point of view, the only real option is a reduction of global consumption of animal protein. That is the easiest and fastest path to solve the problem, but I do not expect a massive shift from omnivore to vegetarian of such amplitude that anything significant will happen. Unfortunately and just like with anything else related to climate change and overconsumption, only a minority will really act voluntarily. On the consumer side, if prices remain too cheap to trigger a change in behavior and a reduction of consumption, then overconsumption will simply continue. What I wrote in my previous article will fully apply to the topic of animal protein and animal farming. A funny thing happened to me when I moved from Europe to North America in 1999. In Europe, I was used to having demanding customers. Issues about how food is produced have been rather common during pretty much my whole life (I will turn 55 later this year so that you have an idea of how long it has been). When I came to North America, I dealt with a completely different situation. I did not get some of those 30-page product specification documents from retailers, foodservice and manufacturers with all the do’s and don’ts of how to produce food. I just got some 30-page disclaimers and liability documents, for the customer to dodge any heat should there be a law suit some time down the road instead. Before, I left Europe, I remember my Managing Director from the poultry company I worked for telling me how lucky I was because “over there (North America), customers hardly ask anything, you just sell them what you produce”. I remember looking at him and thinking that it could not be possible. I was wrong and he was right. For as much as European consumers were picky on all things such as hormones, antibiotics, GMOs, animal welfare, feed composition and origin, North American consumers, and retailers as well, seemed totally uninterested about production methods. It was almost eerie and to be quite frank, it was boring, because I could not see any challenge. One of my American colleagues enjoyed telling that it was the way it was and that it would never change because that is how Americans are. I disagreed but it certainly appeared he was right for a few years. Things have changed now. The American consumer has become more demanding and the dynamics of the discussions have become quite similar to what I had known in Europe for decades. It is actually rather easy for me to “predict” the future as I am living in an ongoing déjà vu nowadays. 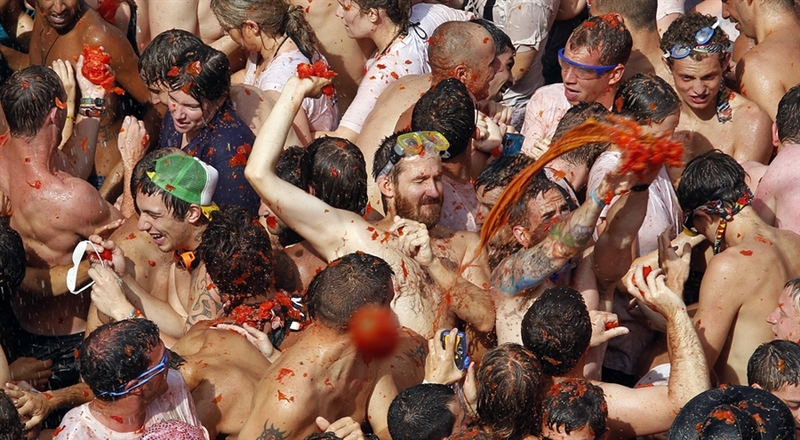 The debate about food has indeed evolved into food fights. If there is one thing that I always found remarkable in my professional life in the food and agriculture sector is the issue of the producer-consumer relationship. Maybe it comes from my family background, but I have never understood why the food industry is so defensive when challenged by consumers or any organizations. My father used to be a butcher and I spent quite a bit of time around the shop and with him on the markets. I discovered very early that customers would ask the weirdest things but that what matters is not the factual truth but whether they trust the supplier. If you cannot deal with that fact, I suggest you do something else than producing food. Food is loaded with emotions and that is that. If consumers were rational, there would not be any diversity in foods and other consumer goods. They always would do the right thing and would not pay attention to all the marketing efforts that support the world economy. If consumers were rational, I bet you that they would deconstruct any PR by spotting all biases. If consumers were rational, they would focus on nutrition only and they also would reject anything that is unsustainable. I have a feeling that a lot of people who resent consumers’ emotions would actually be out of business because they would deal with a much tougher audience than the current consumers. Be careful what you wish for. Further, it is also clear that those who criticize consumers for not being rational, are not rational themselves in their consumption patterns, either. Nobody is. Last year, a book titled No more food fights hit the shelf. Considering the author is actually supporting the conventional agriculture and has a problem with consumers and activists who challenge the food system, it is actually ironic. It reminded me of the words of my Managing Director about the North American market. What could be better than the good old days when the agribusiness could push their products to lethargic consumers? It sure must have been a good time, but it is gone. The book’s author, just like the agriculture sector, does not want anybody questioning the food system. They don’t want anyone looking over their shoulders and find out the bad and the ugly, at the risk of not showing the good either. I do not understand the food producers’ reluctance. If you are proud of what you do and what you produce, as they claim, you are proud to show the world and to share that goodness. You are also willing to always improve and make your customers satisfied. In my opinion, the attitude is really more about being production-driven –or should I say production-centred- than market-driven. The difference is that the former is about oneself and the latter about others. That difference actually reflects quite well in term of whom consumers trust. They trust the latter group, but are very distrustful of the former. I can understand both attitudes because I have filled functions that were more oriented towards technical operation as well as commercial functions. I started my professional life in a position in a technical and scientific field, which suited me well by then because I was a hard-nosed rational fellow with a tendency of not accepting unfounded non-sense. Then, by accident, I got myself involved in a commercial role, which opened me new doors, and my eyes, too. The successful experience led me to other commercial positions and the lessons that I had learned in my father’s shop, I rediscovered on a daily basis in the multinational company. There is a huge gap of perception of the customers between the different departments of a company. Very often this discrepancy is reflected in the dynamics of the sales and operations departments of a business. One wants to say yes and the other wants to say no. Personally, I find being challenged a very good thing that can happen to a producing company. I would agree that negative feedback is never pleasant, but even though the message can be rough, it is feedback after all. In this regard, it should be handled in the same way as customer complaints, the good kind of handling that is, not the denial kind. The latter is usually more of a reason for a customer to drop a supplier than the problem that occurred in the first place. Business, like it or not, is first of all about human interaction. Money is only a means to secure it. In the course of my career, I had to deal with “consumer resistance” in quite a few occasions, but what it put into motion brought me most interesting and rewarding experiences. They helped me to learn about business and to understand the complex dynamics of entire value chains faster than ever. They helped me grow and that experience has made me one of those who understand the ins and outs of marketing, production and management in a variety of discipline the best. I am thankful to my “difficult” customers forever. The reason is simple. By being very demanding, customers forced us to be better than ever and be resourceful to find ways of both meeting their expectations and allow us to remain profitable. Quality only improves through pressure from customers and a competitive environment. It very rarely happens as the result of a voluntary decision, simply because there is a cost at first. In the case of my past professional experience, needless to say that adjusting to consumer demands was never an easy process internally. On the one hand, there was the source of the company’s revenue – in other words salaries – at stake, and on the other hand, the natural drive to keep production costs under control. The key was to not lose our focus on the one essential parameter: the margin. Margin management with market vision really delivered amazing results in such situations. Another essential point was to negotiate everything and always get something in return for any effort made on our part. I remember some very tense conversations with Marks & Spencer in the time the talks were about the removal of meat and bone meal from animal feed. We showed them the impact of their demand on our bottom line and made clear that if they helped out on the bottom line we would go along. Because we were offering top quality chicken, we were able to find an agreement. For as much as we could not afford to lose their business, they did not want to lose us as a supplier, either. The willingness to accept challenges from the market and the drive to always improve our products and service served us. We would not have been in a position to ask anything in return if we had produced a basic commodity. By aiming at being the best, we had a sustainable competitive advantage. Finally we were able to have them accept to buy more from us so that we could dilute the extra cost over a larger volume and have more efficient logistics. The result for us was actually more volume of above average margin products. The customer had to say goodbye to some suppliers who were not ready to go the extra mile for them, and we also said goodbye to customers who would not support us in the cost effort. In the end, a very tough challenge ended up in a strong long-term profitable win-win situation. We came out of a crisis that could potentially have destroyed us stronger and more respected than ever. This is only an example of a tough market challenge. I went through similar situations in the various sectors –feed, pig, poultry and aquaculture- in which I have worked. The added value got in the millions per year each time. Yes fighting is an integral part of life. We all fight all the time. We fight with competitors, with other drivers, with customer service representatives, with sales people, with the tax man, with retailers, waiters. You name it and it you will find an example of fighting. So no more food fights? Forget it, it won’t happen. In my experience, the only reason why anyone asks for a fight to stop is when they are losing. In this case, if they are losing, it is more because of their refusal to listen to where the market is going than because of those bad irrational consumers. The smart food producers, big or small, have all made moves in the direction of consumers’s demands because they know that is where the growth and the future are. Copyright 2016 – Christophe Pelletier – The Happy Future Group Consulting Ltd. Among all the trends in food markets, transparency is a tough demand to meet. As such, it is only natural that consumers have questions about what they buy and want to be sure that they buy something they feel comfortable with. In times when the food economy was local with everyone knowing each other in small communities, the food supply chain seemed transparent. With the separation of rural areas and urban centres and the increasing distance, both geographical and relational, between consumers and the different links of the chain, the distance in trust increased, too. Add to this a few scandals through the years and the result is a feeling that something is broken in the world of food. The renewed desire for transparency is nothing than a cry for trust. Since the personal relationship with suppliers in many cases no longer exists, trust cannot be just a matter of knowing the farmer, the baker or the miller. Today’s transparency is about verifiable facts. Today’s consumers, unlike their parents or grandparents, do not want to be told a story anymore. If they don’t trust you, they won’t believe you anyway. They are used to search online for everything, with more or less success when it comes to the truth, but they nonetheless want to find out for themselves and figure out on their own what to think. Today’s concept of transparency is replacing PR, which is a one-way push communication technique. Today’s consumers want a one-way pull information platform. That is all the difference. PR is obsolete, but most food producers still have not come to this realization. The prospect of having to collect, update and disclose all information through the chain from DNA to retail store or restaurant seems a daunting task and for many food producers, it feels like an overwhelming request. It seems and feels that way because it is. It is rather close to some Herculean task. One of the questions I often get is how much do consumers want to know and should everything be available? My answer is that in theory, consumers want to know everything and so it all should be available indeed but in practice, it is somewhat different. Consumers do not really want to know everything about how their food is produced. Well, maybe some do but they are very few. Most consumers do not even read nutritional labels, so they won’t bother spending hours or more to learn everything about the bread or the chicken they just bought unless something serious triggers it. So, what do the large majority of consumers really want? They don’t want to know everything but they want you to be able to answer them any question they have. They want the certainty that, should they have a question about their food, they will get an answer, the truth and that nothing will be hidden from them. Transparency is much more about trust and truth than it is about hard data. Yet, the way to get there is through data and open access. The amount of data that can be collected is huge and so is the task to set up your transparency system. However, regardless of how much data you collect and share, your transparency performance will always depend first on making transparency one of the pillars of your organization. By that, I mean have the genuine willingness to engage in a candid and honest interaction with your customers and consumers. Genuine, candid and honest are key words when it comes to transparency. People will sense if you are so indeed. If they sense the opposite, you will not gain trust and the perception of your company will further deteriorate. Consumers will forgive honest mistakes when you admit you made one and are willing to do what is needed to correct it, both inside your organization as towards your customers. Consumers will accept that you do not necessarily have all the answers ready but that you are willing to do the research and come back diligently to them with the information. Although immediate response has become an expectation in the digital world, people understand that sometimes a bit of time is needed. Although data is important for transparency, attitude is at least just as much. By being responsive and handling difficult conversations in a mature manner will get you a long way. In a transparency approach, there is no need for defensiveness. You open the doors and you get out of the way! Of course, the mix of transparency and data brings the issue of boundaries. There is a fine line between what is useful information for customers and what is critical information about the company and information that affect competitiveness. Consumers will understand that some information is sensitive enough to not be disclosed. In this process, too, it is essential to be genuine, candid and transparent as long as it is not an attempt to hide something. Remember, transparency is a tool to increase the consumer’s trust and loyalty! How can insects be a part of future food security? Since the FAO published a report in May 2013 presenting insects as a possible source of food to meet future protein demand, the topic has become quite popular in the mainstream media. I wrote an article about this (Insects on the menu) in May 2010, in which I was giving some of my thoughts. I still think along the same lines. In the last few weeks, I bumped into the insect story several times, purely by coincidence. I believe insects can play a role but I am getting a bit frustrated by the lack of specifics in all the talk about insects and worms. Efficiency. They use less land, water, feed, energy and other resources than livestock. Environmentally friendly/clean. Insects create fewer greenhouse gases and are not contaminated with pesticides. They also do not have any hormones in their bodies. Prolific. They reproduce quickly so they can replace depleted resources. Biodiverse. There are millions of insect species, so it is easy to find a match to a location’s need. Nutritious. They have protein and Omega 3s, a class of essential fatty acids that help lower cholesterol. How efficient? How much less land, water, feed and energy and other resources? Environmentally friendly as long as they do not massively invade it. How many fewer greenhouse gases? No hormones at all, really? Of course insects contain hormones. They are necessary for their physiology and development. So which hormones was he referring to? Yes they are prolific, which raises the issue of what would happen if insects escape from farms in large numbers. They are prolific but they are tiny, so it takes huge numbers to match the weight of a cow or pig or even a chicken. The real question to answer is how many tonnes of insect protein can a farm produce compared with other animal productions? What should be the size of an insect farm and how many farms should there be to meet future demand. Also what feed will the bugs eat to grow? Biodiversity may be nice, but what species would be production worthy when it comes to the mass production of volumes that would be comparable with other productions? Unless someone can quantify the above, the story remains rhetoric. If insects are to become a large-scale production along the lines of other animal proteins, it is necessary to single out the species that will be the most efficient, technically and economically. It is also necessary to sketch the design and the magnitude of farms. There are a number of companies that have been venturing in the insect business but most of them are tiny, in the grand scheme of world food security. Aaron Dossey’s company produces 25,000 lbs of insect powder per year. That is 12 tonnes, and he does not sell them to the hungry of Asia and Africa. Compared with the world average meat consumption per capita per year, 12 tonnes of meat represents the yearly consumption of 250 to 300 people. If insects represented 1% of the world average meat consumption per person, his production would feed only 25,000 to 30,000 people, or less than 0.0005%! Clearly, even to cover 1% of the average animal protein need as it is on average per today, the magnitude of the challenge to set up a significant production is huge. The other challenge to overcome is to make insect production economically competitive, be it for human consumption of for animal feed purposes. Most businesses offering insect products today are operating in a small niche, just because there is little industrial production. The dominant part of the insects and worms consumed are picked in nature by those who eat them, as those animals are usually consumed when there is a seasonal shortage of other protein sources. The niche businesses sell their insect products at prices that even many people in wealthy country could not afford on a frequent basis. The insect products are offered to consumers at prices reaching several hundreds of dollars per pound. Presenting such foods as helping the world feeding itself, which means mostly helping the world’s poorest to be able to afford nutritious food is at best delusional if not even plain cynical. Insects and worms can be contributors to future food security only if they are affordable and competitive against the other meat sorts. That cannot happen if they are limited to the treat sector. Another aspect of insects as food is their attractiveness, or lack of it. Insects and worms are much more common in Asia and Africa, where the largest part of the world population is and will be in the future. In Western countries, insects and worms are perceived as repugnant by most people. In terms of marketing, it would make more sense to focus on the Asian and African markets instead of trying to convince Westerners to eat lots of insects, just because of the respective levels of acceptance. However, there is communication to do and lessons to learn from the past. I would name two. First, escargots, which are so popular under their French name, are an expensive item on menus. Escargots are never sold as “snails” because that sounds gross for most people. Everything sounds tastier in French. Try presenting insects under a French names and the Anglo-Saxon population might be more tempted. Snails used to be, just like insects and worms in Africa and Asia today, food that the French were going to pick on walls after a rain in times of food shortages. My second example is lobster. Lobster used to be considered a bottom feeder that was only for the poor, and so it was. Clearly, the image of lobster has changed a lot. The other lesson about lobster, and I would add shrimp, langoustine and many other ugly crustaceans, is that there are expensive delicacies that actually look a lot like insects, and they are actually rather close to insects in their body structures. When it comes to human consumption, I wonder whether people will still be tempted to eat bugs if the economic situation keeps on improving in Asia and Africa. Not that long ago, China was in situation of near famine. Anything that contained protein was food. They were roasted rats for sell. In France, during the privations of World War II, rats – and cats- were used to replace pork in many deli specialties. There is a big difference between having to and wanting to. Has rat meat consumption increased in China since the economic boom? Do the French since WWII ended have been asking their butcher for rat pâté? I may be wrong, but I really think that when people, wherever in the world, have the choice, they will go for a juicy steak or some chicken before looking for bugs. Then, there is the possibility of using insects and worms for animal feed. The advantage of animals compared with humans is that they eat to satisfy their hunger, but there is no psychological side to what is in animal feed, at least from the animal perspective. A trial to feed live insects to chickens just started in The Netherlands. It will be interesting to see the results. What I am wondering about this trial is why use live insects instead of dead ones. When I worked in animal husbandry, one of the things farmers worked on preventing was the possible invasion of insects in the houses, in particular because of the damage to insulation material. Further, I hope they make sure the insects will not escape, and that at least, should that happen, they are not using species that could cause damage in the neighbourhood. Also, I hope that the insects chosen have been screened on the health safety in terms of passing on diseases. Especially, after all the problems caused over the past years by avian flu and contamination by migratory birds, one can never be too cautious. So what will be a good production system for large-scale production? I do not know yet, and I cannot find much information on how insect husbandry of the future may look like. However, I remember a TV program I saw some 25-30 years ago on the Dutch channel VPRO. I am not sure about the title of the program, but here is what it was about. The documentary was presenting an old fellow living as a hermit somewhere in the wild. He was using meat offal from his farm animals to attract flies, by storing them in a large tank. The flies were colonising the offal and bones and used them to lay their eggs. Later, the maggots hatched and when he found they were large and ripe enough, the hermit harvested the maggots and boiled them in a large caldron. He used that mass of cooked maggots as feed for his pigs and so he recycled the carcasses leftovers of the previous batch of pigs to produce the next one. I found that it was a pretty smart feeding and recycling system. Perhaps, it could be a solution for the future. In his system there was no waste. Of course, it sounds a bit like a porcine version of the movie Soylent Green. For as much as I can see potential for insects and worms, I also see a huge lack of number crunching and comparative trials to figure out which species to produce and in which productions systems to provide an abundant and affordable of safe insect and worm food for both consumers and environment worldwide. The generality talk about bugs is cheap and does not help me envision how insects would play a prominent role in feeding the future. Recently, interesting economic news has come from the Empire of the Middle. On the one hand, financial markets reacted worried on the softening of the Chinese economy, but on the other hand they reacted rather positively about the first corporate debt default allowed in the country. To me, all of the above is good news. If financial markets get a bit nervous for a few days, then so be it! It cannot be a complete surprise that at some point the growth of the Chinese economy would slow down. Double-digit growth cannot last forever, and growth cannot keep going on a straight line without some corrections along the way. If markets are worried about a growth of 5% for China, then how will they react when China lands into a recession, as it surely will happen at some time? Personally, I find China’s performance over the last 30 years quite impressive to say the least. I am old enough to have seen dramatic changes about that country. When I was a kid, all the news from China was rather sad. There was a chronic situation of near-famine, and what I heard then, true or not, was that the Chinese had only one bowl of rice per person for a whole day. The Great Leap Forward and the Cultural Revolution directed by Mao Zedong did not exactly spelled prosperity, by far not. After the arrival of Deng Xiaoping, things changed and a new direction took place, which had led the country to where it is today. Pragmatism took over from blind dogma. Deng Xiaoping’s quote “It doesn’t matter whether the cat is black or white, as long as it catches mice” summed it up nicely. I have to admit that I was still rather young and did not pay much attention to what happened in China. That came later during my professional life. In the early 1990s, the price of wheat increased, and this became cause for concern in the poultry industry, in which I was working by then. I remember a conversation with one of my customers. We came to the conclusion that China had decided to feed its people, and that was the sign of a new era. Since that day, I have followed with much interest the evolution of China, and until this day it has not stopped fascinating me. Bringing a country of 1.5 billion people in 30 years from hunger to the world’s largest economy is no small deed. Western economies with a much lower population should know, since they struggle to provide enough jobs to their populations, which in many cases would fit in only one of the large Chinese cities. Chinese leaders have shown a remarkable pragmatic approach in the way they have carried out this change. They have performed an impressive balancing act to stay in power through economic development that allowed the population to not have enough reason to start a revolution, which is the only way to change a government when there are no elections. Feeding their people was definitely a sound strategy to achieve the double objective of power continuation and increasing prosperity. However, this economic success has come at a high price. China suffers from major environmental damage, and the rest of the world also undergoes the consequences. This is where the news of the past few days sends some interesting signals about the future. China is now entering a phase of optimization. Growth is not anymore just about more, but it is about better. Phase one, providing for the basic needs seems on its way to completion. Now, focusing on the quality of future growth becomes necessary, as keeping the course of the previous decades would probably soon lead to make the country hardly liveable. But allowing the pace of growth to slow down in order to get the time to improve the situation and clean some of the damage is not the only sign that shows that Chinese leaders have the confidence that the country has achieved a level of economic prosperity sufficient to absorb this slowdown. The recent debt default of the solar panel company Chaori shows that China has decided to stop to protect business from failure, as until this case, various levels of government would guarantee the debt. The message seems to be that the economy is strong enough to take such hits. This is a strong signal that China will no longer bail out businesses and that they will let market forces select the winners and the losers. That is quite the move toward liberalism. A number of Western countries do not appear this bold, lately. In the same area of a changed economic philosophy, China is also currently allowing market forces to regulate the value of its currency, which is currently weakening, even though Western countries have always put pressure on China to re-evaluate the Yuan. The ability to persevere on long-term objective and not let outsiders interfere more than necessary is one of the quality of the Chinese that I like particularly. They do what is good for China and do not allow foreigners to undermine they progress. They run their economy with the same resilience and determination as they did with the Long March. Personally, I like the approach of the Chinese leaders. They are smart, focused and pragmatic. The new generation of entrepreneurs and executive also shows these good qualities. I also am quite impressed by the enthusiasm and curiosity of young Chinese students. They have the momentum on their side and it feeds their desire to succeed. As I mentioned earlier, a couple of decades ago China decided to feed its people, mostly to avoid social unrest that could get out of control. In the area of food security, China has, like in the rest of its economy, achieved impressive results, but at a high cost, too. I believe that part of the current shift in economic philosophy can be looked at from the perspective of Maslow’s pyramid of needs. The objective number one for China has been to meet the basic needs: food, shelter, safety. Although there is still a part of the population living in poverty, the basic needs, from a collective point of view, are more or less met, as the majority of the population has now entered the middle class or better and the rest seems to follow in that direction. In the first phase, it is clear that environmental damage was under little scrutiny, as the end justified the means. After all, hungry people are not picky about what they eat, if it means surviving. In the today’s Chinese society, just eating what is available is no longer the only priority. Once the basic needs are met, the emotional takes gradually over from the biological. Consumers start to think and to question. It is not anymore about surviving today only, but about living in the future. The population is expressing its discontent of the quality of life and against the environmental recklessness of businesses more and more often. If food was used to be considered a potential source of unrest, now the problem has shifted to air and water. Heavy air pollution, contaminated water and the sight of thousands of dead pigs floating in the river that flows through Shanghai, as was the case a few months ago, are no longer tolerated by the population. The phase of optimization is also going to take place in food and agriculture. The situation about corn is a good indicator. Until 2012, China was self-sufficient for corn. With the increasing demand for meat as a result of economic improvement of the population, China has now become a net importer. The type of demand for the various food groups, together with the environmental toll of pursuing the objective of food self-sufficiency has reached its limits. It is important to acknowledge the performance of the Chinese agriculture, though. 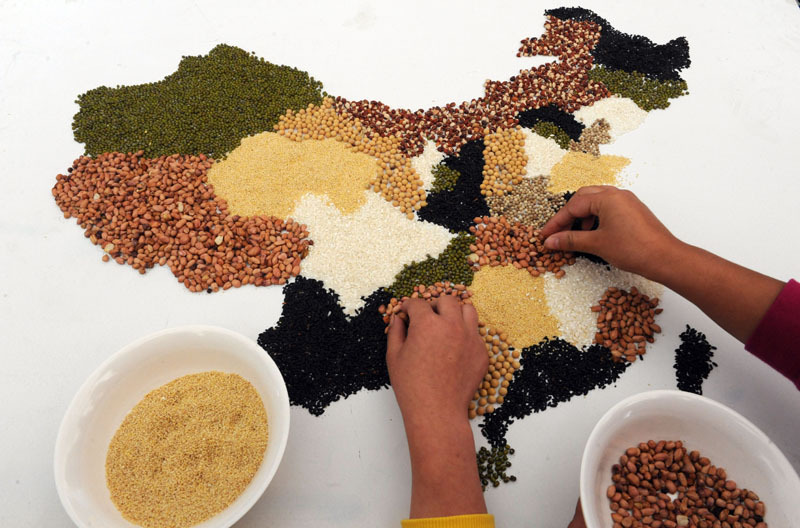 Even is the cost of achieving food security is high, one needs to remember that China is the world’s largest producer of rice, wheat, pork, eggs, fruit and vegetables, and cotton. It is the second largest producer of corn, behind the US. Considering the size of the country, being the main producer for all those commodities is quite an achievement. Yet China, announced last February that it was changing its objective, and that grain self-sufficiency was no longer sacred. It makes very good sense. The long term is as important as the present. China needs to work hard now to protect and restore its soils and its fresh water. On other area where the country can also achieve substantial results is by fixing post-harvest losses. Infrastructure will be developed further. Optimization of the food value chains will also take place, largely in the form of a consolidation of businesses. The seed sector will be interesting to follow in this regard, as many small seed producers will either disappear or be absorbed by larger entities. Considering the crucial role of genetics for crop yield, this rationalization of the sector should also contribute to a further improvement of the Chinese agriculture. With land purchases abroad, world agricultural production up, international trade and a more astute food stocks strategy, China does not need to try to produce all its food itself. The bulk of the basic needs is covered. Now, it is time to optimize and repair without having to fear shortages. The focus is going to be more on waste reduction and efficiency than before. It definitely will be about doing more with less, to use a commonly used expression. An example of this tightening of standards is the so-called Green Fence for the recycling goods that China imports. Now the recycling materials need to be cleaned to enter the country. China simply does not want to use its energy and water resources. They want the waste producers to do that in their own countries. That is wise. Another area for optimization is food safety and food quality. In a previous article , I wrote about a strategic shift towards speeding up the learning curve to meet higher standards. The shift from quantity to quality is a reflection of the pyramid of needs. When people have enough to eat, as is the case in large Chinese urban centers, they start to look at how food is produced and question what they do not like. Food security is for most no longer a worry, as the alarming rise in overweight and diabetes shows. When food security is no longer a worry, the focus shifts to food safety. That is quite normal. My expectation is that China is no longer in the logic of just copying and producing cheap low quality. Although this reputation is still quite alive in Western countries, in my opinion it is incorrect. But after all, similar prejudices lived long about Japan, too, until the time that Americans realized that Japanese goods were of a better quality and Japanese companies were better run than their domestic counterparts. We will see the same thing about China. Some people will wake up too late. The Chinese are quite awake. Don’t worry for them. Although the food industry, like all industries, resents criticism, it is actually the sign of a developed society. Basic standards do not satisfy anymore. People look for the something extra, and that is where opportunities arise. Those who listen to consumers and offer them what they want increase their chances of capturing the high-margin market positions. Let’s face it; markets for undifferentiated commodities are attractive mostly because of the large volumes they represent. In China, too, health and environment will be the drivers of future food supply. This will definitely offer good possibilities in the future. The Chinese will also take a look at their diet, and the per capita consumption of meat, just like economic growth, will not keep increasing forever. In the same way as it did in Western countries, it will reach a plateau, probably in 10 years from now, and later will gradually decline, for the same reasons as it is doing in the West, and also because the population of China is expected to decrease to 1.4 billion by 2050 and to 1.1 billion by 2100. That decrease represents a lot of consumers. It will be important to notice this change of trend on time. When consumption of certain food items in Western countries reached that plateau, most companies did not anticipate it. As usual in such situations, denial is the first reaction. First the change of trend is considered a temporary hiccup. Investments to increase capacity have often been made on the expectation of continuous growth, causing an overcapacity of production, and the production capacity needs to be used fully to be economically efficient. This creates a lack of flexibility and all producers enter the difficult times with the same cost profitability concerns. When the stagnation appears to last, producers like to think that indeed there will be a consolidation of the sector, but they usually all seem to think that they will weather the storm and will not be affected. Of course, it never works that way. Bad things do not happen only happen to others. Then, the crisis follows and usually a vigorous restructuring takes place. I have seen this many times and it is amazing to see how history repeats itself. There is no doubt that when food consumption will have reached its top, the same mechanism will show. This time, the problem will be quite robust, though. To supply China, production volumes will be much higher than previous similar scenarios of stagnation in the various Western regions. Further, just as much any marginal increment of consumption per capita multiplied by 1.5 billion means large volumes, any decrease of consumption will represent significant pain. This point is not here, yet. There are years of growth for most food groups ahead, but it is time to start thinking, and especially start planning, about a change of strategy. When the plateau appears, differentiation will become the main theme, and niches will be the place to be. Considering that the Chinese culture is long-term oriented and that relationships are a fundamental element of business in China, I would recommend starting paving the path for this shift sooner than later. After all, 10 years pass quite fast. Copyright 2014 – The Happy Future Group Consulting Ltd.
You are currently browsing the archives for the Consumer Market category.